On a rare slow news day, I found myself reading and re-reading this talk given by danah boyd at the Online News Association’s annual gathering this weekend. Titled “Media Manipulation, Strategic Amplification, and Responsible Journalism,” the talk examines a variety of subjects that will be familiar to readers of this newsletter. boyd (who styles her name in lowercase) looks at claims of anti-conservative bias; the risks of de-platforming toxic users; the balance between speech and security; and the crisis of trust in the information ecosystem. These steps rely on the relationship between social media, news media, and search engines. Phrases like “crisis actor” don’t spread naturally through word-of-mouth networks, even on social media. To get them into the public lexicon, media manipulators must convince major media amplifiers to work on their behalf. Over the last six years, networks of online antagonists have jumped on every mass tragedy to manipulate the media and propel this term into the mainstream. They use fake accounts on social media to talk with journalists, to ask journalists if there is any truth to the idea that witnesses are really crisis actors. They deface Wikipedia entries. They try to manipulate trending topics and autocomplete on search. But algorithmic systems aren’t their target. Journalists are the real target of their digital shenanigans. Manipulators aren’t trying to get journalists to say that witnesses to gun violence and terrorism are actually crisis actors. Their goal is to get the news media to negate that frame — and negate the conspirators who are propagating that frame. This may be counter-intuitive, but when news media negates a conspiratorial frame, the people who are most open to such a conspiracy will want to self-investigate precisely because they don’t trust the news media. Here boyd has identified is an extremely thorny problem. On one hand, she’s right that the press ought to consider what it’s giving oxygen to. More than that, like the platforms, the media needs to smarten up about ways that extremists successfully manipulate the media into writing about them. On the other hand, maintaining boyd’s “strategic silence” on the subject of crisis actors or (to use another boyd example) incels requires a level of cooperation — some would say collusion! — that the national media has rarely shown. I’m less certain that the effects of the media banding together and deciding, as a unit, never to publish the word “incels” would have a positive effect on the information ecosystem. Moreover, while studies have reached different conclusions here, there’s at least some recent evidence that the so-called “backfire” or “boomerang” effect — which causes people to believe the opposite of what people tell them when it challenges their existing point of view — is overstated. Finally, I wish boyd’s talk paid more attention to how manipulators exploit the machinery of amplification on social networks to become newsworthy figures in the first place. Alex Jones was a lot less worthy of coverage when he was a local-access TV host; it was harder to ignore him once he was broadcasting to an audience of millions on Facebook, YouTube, and Twitter. He wouldn’t become a martyr if no one had ever heard of him — and his story just isn’t possible without the platforms and their recommendation algorithms. You are not algorithms. But you are also not neutral. And because you have the power to amplify messages, people also want to manipulate you. That’s just par for the course. And in today’s day and age, it’s not just corporations, governments, and PR shops that have your number. Just as the US military needed to change tactics to grapple with a tribal, networked, and distributed adversary, so must you. Focus on networks — help connect people to information. Build networks across information and across people. Be an embedded part of the social fabric of this country. “Building networks across information and across people” has been one of my goals with this newsletter from the beginning. Becoming an embedded part of the social fabric — that’s going to require a different approach. If you have any ideas, I’m all ears. The company is hiring a Director of Human Rights Policy who will develop approaches that foster human rights and peace while simultaneously cracking down on those who “enable harm, stifle expression, and undermine human rights.” This leader would steer investigations into human rights abusers and work with both government and corporate partners. The future director would be particularly well-experienced. They’d need at least 12 years of experience with public policy and human rights (including in developing countries), and would require some background in technology. A Facebook page for Everyday-Dude.com, showing packages with hundreds of programs, was taken down minutes later as a reporter was viewing it. Pages of some of the account’s more than 1,000 Facebook friends also subsequently disappeared. Facebook said it had no knowledge of North Koreans using its platform but is committed to rooting out profiles using false names. It suspended numerous North Korea-linked accounts identified by the Journal, including one that Facebook said appeared not to belong to a real person. After it closed that account, another profile, with identical friends and photos, soon popped up. One of the first pieces of software criticism I ever wrote was about why I thought Path was doomed. Turns out, it was! The impact of competitors may be most evident by looking at the amount of time people spend using Snapchat. A survey published this week by analysts at Cowen Research found that Snapchat users spent less time with the app this quarter than they did a year ago. Users still spend roughly 31 minutes inside the app per day — pretty good — down slightly from 33 minutes in the third quarter of 2017. But Instagram, Twitter and Pinterest all saw time spent increase this quarter over the same time last year. With under 50 days to go until the 2018 U.S. midterms, this feels a little late for a pilot project. But we’ll take it! One reason I enjoy writing newsletters is that sometimes the entire story is in the headline! 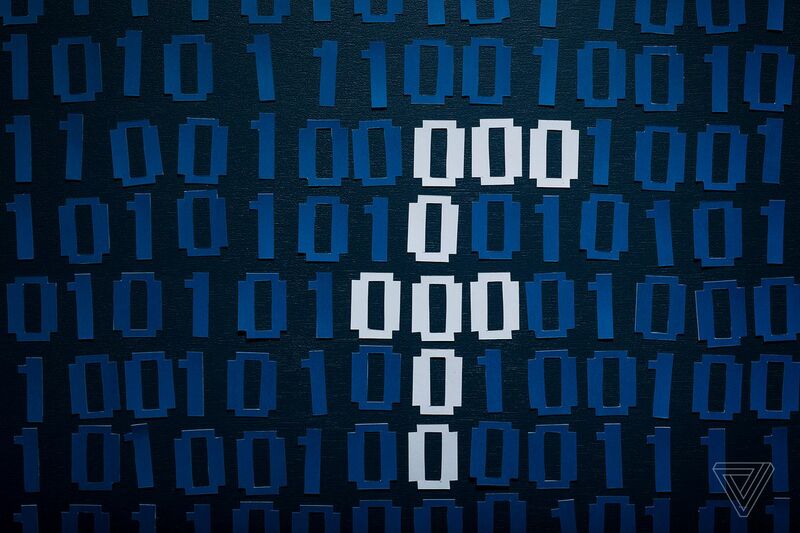 Facebook will now accept reports about not just about vulnerabilities in its own products, but in third-party apps and services that connect to Facebook user accounts. Third-party interactions create user risk on the social network, since Facebook vets but doesn’t develop the outside apps and can’t ensure their integrity as thoroughly as it can its own platform. Users are also responsible for managing the permissions of third-party apps, which can be a confusing and opaque process. TripAdvisor is adding a social feed for some reason. Still no word on TripAdvisor stories, though, likely because that would just be Instagram. Misinformation researchers look at a collection of criteria to attempt to differentiate authentic campaigns from influence operations. These include the content (is the same exact message being pumped out en masse? ), the voice (do the accounts participating in the campaign appear to be authentic? ), and the dissemination pattern (is there evidence of mass automation?). No one wants to inadvertently misidentify a real activist. The challenge is that tactics designed to reduce the friction of participating are also ripe for easy exploitation. With the November 2018 midterms approaching, mass, coordinated action is picking up again. Hundreds of people simultaneously tweeting the exact same thing looks very much like the kind of automation used to manufacture consensus, dominate a hashtag, or game a trending algorithm. Organic outrage or excitement usually inspires a bit more variety in the commentary. And despite exhortations from politicians and mea culpas from technology executives, some of their latest campaigns and features are actually making things worse. Who Drew the ‘Wow Queen’ Goofy Picture? The Goofy picture was posted on April 13, but it would be another six months before “the meme community” seized on it. By then, however, Seddens had moved on. “I walked away from it because I found happiness. I was kinda doing the art, trying to figure my life out because I was in the transitioning phase,” she said. Through her Instagram account, she had met somebody — a fan of her viral art — and eventually married him. From a meme to a marriage. Happy Monday!